I read Jac's website and also watched the installation videos. I downloaded Jac's pre-made installation into C:\jac\wudsn. When I run Eclipse, I get this error. I tried going to the Eclipse website to download Eclipse but there are so many choices, I don't know which to download. Can someone tell me what I'm doing wrong? You may get this error if the versions of java and eclipse do not match. 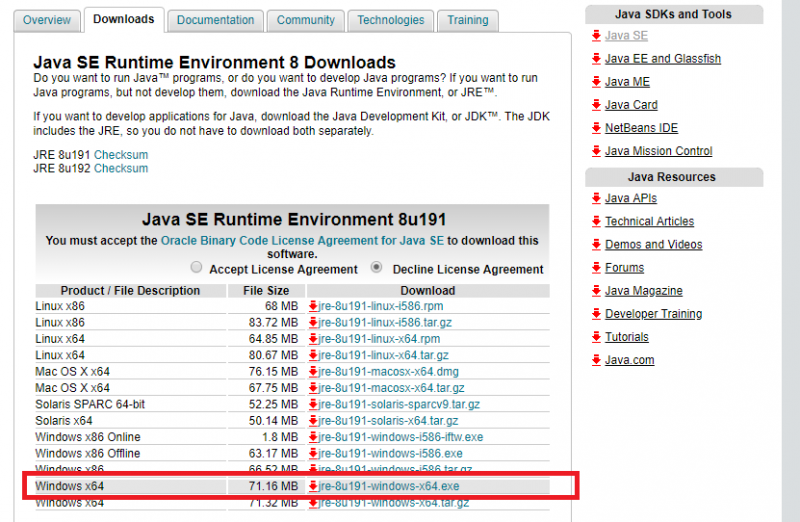 If you have installed 64-bit java JDK on your machine and 32-bit Eclipse IDE or vice versa, then you may get this error. 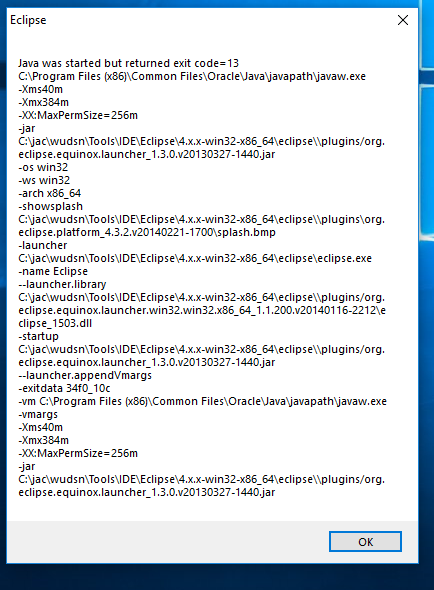 Please verify the Eclipse and Java version you use match (both 32 bit or both 64 bit). In your case, you have 64-bit Eclipse. So entering "java -version" on the command prompt should reveal if that is 64-bit, too. Looks like the 32bit JRE to me. You need the 64-bit (X64) JDK or JRE to run the 64 bit version of WUDSN.